Travel tips for wifi in Sri Lankan paradise. Tropical paradise, surrounded by palms, calming yourself with the sound of the indian ocean. What could be better? A few travel tips perhaps? Sri Lanka, arguably one of the worlds tropical paradises that remains for the most part still untouched by western tourism. Tropical holidays, boutique retreats, a paradise that caters for every and all people. Yoga, Surf, Meditation, the place we call home has everything to offer for those looking to seek it. If Wifi is something you’re going to need regularly, unlock your phone prior to travelling to Sri Lanka. You can purchase a Sim Card with a healthy data allowance in the airport on arrival. Mobitel and Dialog are popular providers in Sri Lanka, you’ll find super fast 4g in the mountains of Ella and the beaches of Talalla. Even in paradise you’ll be able to stream your favourite Spotify playlists. We all love being able to watch our favourite movies whilst having a lazy day out of the tropical sunshine. My best advice to people wanting unlimited movies; download to an external hard drive prior arriving in Sri Lanka. This is an absolute failsafe, living or holidaying in paradise can come with power cuts and weak wifi signals! The essential advice when staying in paradise. 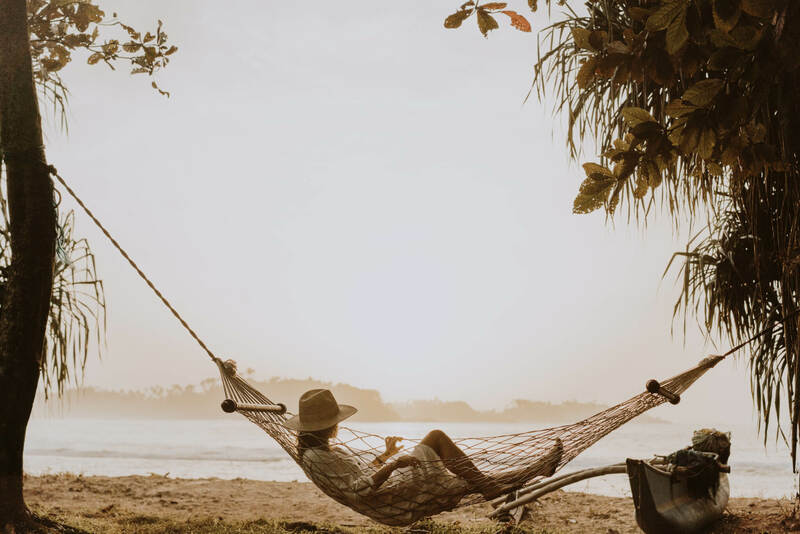 Disconnect as much as you can, embrace Sri Lankan culture, surround yourself with the sound of the ocean and palm trees and be at one with paradise. Join our Photography, Surf & Yoga Retreat With International Surf Photographer Cait Miers and Andy of "No Shoes No Worries"
Monsoon season? What monsoon season? 5 essentials for an eco friendly travellers backpack.